The blackcurrant also known by its scientific name Ribes nigrum is a woody shrub belonging to the family Grossulariaceae harvested for its tangy berries. It is native to parts of northern and central Europe having temperate climate and northern part of Asia where it is grown in damp fertile soil and is widely cultivated for both commercial and domestic purposes (1). It is can survive winter but harsh cold environment at time of flowering during spring season decreases the yield of crop. Clusters of small, shiny black fruit grow along the stems in summer season and can be plucked by machine or by hand. The fruit is a rich source of vitamin C, a range of other nutrients, antioxidants and phytochemicals. Blackcurrants can be consumed in raw form but are generally cooked in an assortment of desserts or savory dishes. They are used in preparation of jams, syrups and jellies and are grown commercially for the juice business. The berries are also used in the production of alcoholic beverages and both fruit and plant have applications in conventional medicine and the preparation of dyes. Blackcurrant, is a shrub medium in size, growing up to almost 4.9 ft. by 4.9 ft. The leaves are arranged alternately, are simple and 1.2 to 2 inches long and broad with a serrated margin and five palmate lobes. The plant is very aromatic. Its flowers are arranged in racemes called strigs up to 3 inches long having about ten to twenty flowers, each almost 0.3 inches in diameter. The flowers have a furry calyx with yellowish glands, their five lobes are longer than the less noticeable petals. Icy frost can harm both open and unopened flowers when the temperature falls below 28.5 °F. The flowers present at the foot of the strig are more sheltered by the foliage and are less prone to damage. Black currant grows in Europe, Asia, North America and, as is especially well cultivated in New Zealand. The berry comes in vibrant shades of purple, deep red and black. It is fairly small, being similar in bulk to the bilberry, and is also highly nutritious. It has particularly high content of anthocyanins, which are the purplish-blue or purplish black pigments that give color to the skin ofthe black currant, giving it its name. Anthocyanins are potent phyto-antioxidants. Besides the anthocyanins present primarily in the skin, black currant is a rich source of the omega-3 fatty acid alpha-linolenic acid and the omega-6 fatty acid gamma-linolenic acid (GLA) by way of its seeds. The source of this fruit can have a strong influence on its nutrient content. New Zealand’s immaculate conditions and mineral-rich soil combined with its high exposure to ultraviolet light produces good quality black currants that exceed the black currant cultivated in other places especially in terms of anthocyanin content. The defensive delphinidin-3-rutinoside makes up forty percent of the total anthocyanin content of the New Zealand black currant. Black currant also is an excellent source of proanthocyanidins, substances more frequently linked with pine bark extracts and grape seeds. By midsummer, the green black currant ripens to a ripe berry nearly one cm in diameter, extremely dark purple in color, almost black, with a shiny skin, a persistent calyx at the tip, and containing many seeds having high content of nutrients (especially vitamin C). A well grown black currant bush can yield about ten pounds or 4.5 kilograms of fruit in one year. The blackcurrant has been hailed for centuries as a nutritious fruit and a wild, edible delicacy. The blackcurrant berries, widely used as an edible fruit, are native to northern Europe. The use of blackcurrant fruit as a traditional herbal medicine began in the Middle Ages. In the sixteenth century German herbalists used the berries for curing bladder stones and hepatic disorders. Blackcurrants were also used in preparation of syrups used for coughs and respiratory ailments. The blackcurrant originated originally from northern Europe and Asia. It was grown in Russia by the 12th century when it was present in monastery vegetable patches and gardens and also cultivated in towns and settlements. Production in Europe is thought to have begun around the last ten years of the 16th century. Extracts from the leaves, bark or roots were also used as home remedies. During World War II, most fruits having vitamin C, such as citrus fruits, became hard to obtain in the United Kingdom. Since blackcurrants are a good source of the vitamin and blackcurrant shrubs are apt for growing in the United Kingdom climate, the British government promoted their cultivation and soon the production of this fruit increased considerably. From 1943 onwards, blackcurrant syrup was given free of cost to children under the age of two, and this may have established the lasting popularity of these berries as a flavoring in England. In England the commercial crop is completely mechanized and about fifteen thousand hectares of the fruit are cultivated, usually under contract to the juicing market. Commercially, most extensive cultivation of blackcurrants is done in Eastern Europe for the juice business. Blackcurrants were once widely cultivated in the United States as well, but became less popular in the twentieth century after blackcurrant cultivation was banned in the early 1900s, when this fruit, as a carrier of white pine blister rust, was considered a danger to the American logging industry. The government ban on growing blackcurrants was referred to jurisdiction of individual states in 1967, and was abolished in New York in 2003 through the struggle of horticulturist Greg Quinn. Therefore, blackcurrant cultivation is making a return in New York, Oregon, Connecticut and Vermont. However, numerous statewide bans still exist in places such as Maine, Virginia, New Hampshire and Massachusetts. Since the American federal government ban curtailed blackcurrant production nationwide for almost a century, the fruit remains mostly uncommon in the United States, and has yet to recover its earlier popularity to levels prevalent in England or New Zealand. Due to its unique flavor and richness in polyphenols, dietary fiber and beneficial nutrients, use and popularity of blackcurrant is once again on the rise, with a number of consumer products entering the American market. In New Zealand blackcurrants have been cultivated in home lawns and gardens since they first arrived in the eighteenth century. Many locals have fond childhood memories of collecting the fruit together as a family and spending quality time preparing their favorite jam. Today, New Zealand blackcurrant is widely regarded as a high quality ingredient being used for internationally renowned brands. High quality raw materials made from New Zealand blackcurrant have acquired a good reputation in the production of high quality beverages, food items and supplements which are used daily all over the globe. The natural and commercial environment in which New Zealand blackcurrant cultivators operate allow them to constantly produce healthy, ripe and delicious blackcurrants, rich in phytonutrients and flavor. Not much was known scientifically about the health advantages of blackcurrants until the late 1960s. Since then, studies have found that blackcurrants have a large range of health benefits including an array of immune boosting vital chemical properties. In addition to this, blackcurrant berries have much more Vitamin C content than any other natural plant or food source (about five times more than a fresh orange). When it comes to vitamin C rich foods, blackcurrants are a super food. They have about three or four times the quantity of vitamin C as citrus fruits, calculated by serving weights (2, 3). The nutritional benefits of vitamin C are legendary. It is used by our body to metabolize protein and form collagen. It is often used to relieve sore throats and soothe flu symptoms, and ongoing studies are trying to determine if it might be able to help prevent flu, some forms of cancers, and cardiac disease. Black currant tea, like black currants, has high content of vitamin C. About a quarter cup of fresh black currants becomes one spoon of dried black currants, which can be used to make two cups of black currant tea. A spoon of dried black currants has almost 50 mg of vitamin C, which is a powerful antioxidant. Vitamin C enhances the immune system and aids in the repair and growth of tissues in the body. Being an antioxidant, it shields your body against detrimental free radicals and toxins. Black currant berries and leaves contain anthocyanins, polyphenols that are natural antioxidants. Richard Duke, author of the “Handbook of Remedial Herbs,” has stated that black currant leaf extract is a useful anti-inflammatory agent (4). A research article in the 2013 issue of “Journal of Medicinal Food” found that black currant extract from berries was rich in antioxidants that had potent anti-inflammatory traits, which may help diminish inflammation from exposure to toxins and smoking. The oil of blackcurrant seed has anti-inflammatory properties. A study of healthy adults has proven that oil helped enhance their immune systems by reducing their production of prostaglandin PGE2. Prostaglandins are hormone-like chemicals that help the blood vessels and muscles contract and relax. They are released whenever there is an injury or infection, but too much can lead to inflammation and thwart the immune system from working to its full extent. As we release more PGE2 as we grow older, the use of blackcurrant seed oil to reduce prostaglandin production can help prevent inflammation-related diseases and help the immune system function better. A 2013 edition of “Frontiers of Microbiology” published a study that deduced that extract obtained from black currant leaf could defend against the influenza A virus, also known as the flu virus (5, 7). The research study found that black currant leaf extract was helpful in preventing the propagation of the flu virus during the initial stages, two hours after infection. Scientists reached to the conclusion that black currant leaf extract could help lower the chances of infection from the influenza A virus, even though human testing is still needed. Black currants, like many other purplish black-colored fruits, are an excellent source of anthocyanins, which are found mainly in the skin of the berries. The anthocyanins present in black currants have been proven to impeded and inhibit the proliferation of cancer cells, possibly leading to anti-cancer benefits (6, 7). 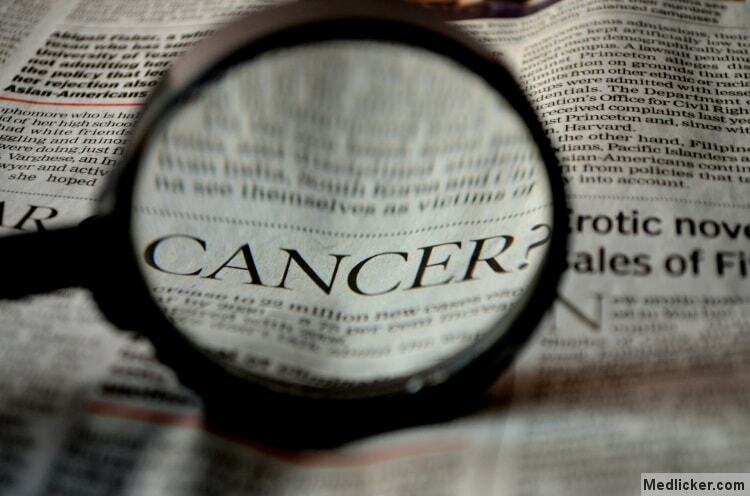 A 2011 edition of “Natural Product Communications” stated that black currant juice, as well as a water-based extract of black currant fruits, helped in a considerable drop in the proliferation of liver cancer cells. Researchers concluded that black currant extract could potentially be used to prevent and treat hepatic cancer in humans. 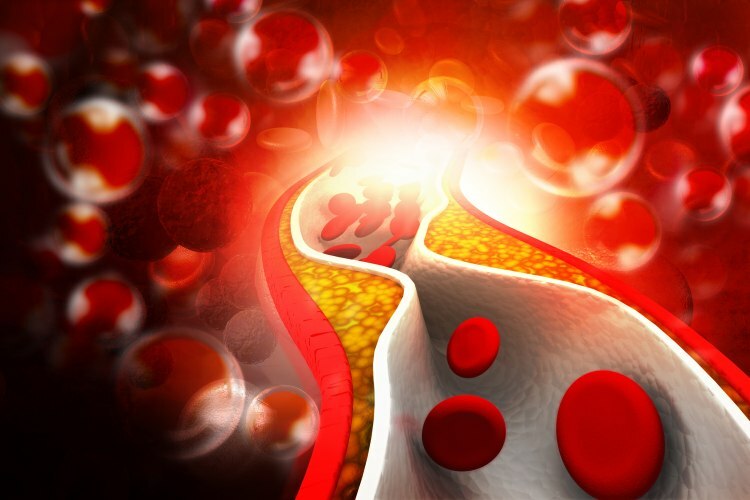 Bad cholesterol or LDLs can cause plaque upsurge inside the arteries, along with cardiac disease. Many studies suggest that use of black currant seed oil can lower cholesterol levels and blood fats known as triglycerides (7). It also seems to augment good or high-density lipoprotein cholesterol. Research suggests that using black currant seed oil orally does not reduce blood pressure in adult humans with borderline high blood pressure. But it seems to reduce stress or tension-related rise in blood pressure levels in adults with borderline high blood pressure (7, 8). According to a research carried out by French scientists, bouts of GLA (present in blackcurrant seed oil) can help to reduce your blood pressure, when included in your diet with docosahexaenoic acid (DHA) and eicosapentaenoic acid (EPA). These compounds can be found in cold water fish, such as tuna, halibut, salmon, mackerel, herring, and cod liver. Besides reducing blood pressure levels, the GLA found in blackcurrant fruit helps your cardiac cells resist damage and also slows down platelet clumping in your arteries. When the platelets in your blood coagulate or clump together, this can raise your risk of heart attack or cardiac disease. Early studies suggest that taking black currant fruit by mouth decreases muscle fatigue or stiffness after doing strenuous physical tasks (7, 9, 10). Scientific research shows that consuming a combination of black currant juice and orange juice reduces swelling in patients with peripheral arterial disease (11). Some researchers suggest that using black currant seed oil orally reduces joint tenderness in people suffering from rheumatoid arthritis (11, 12). Early studies suggest that consumption black currant fruit lowers pain and swelling in women with circulatory problems linked with taking birth control pills (11). Blackcurrant seed oil is used to treat several skin disorders, such as eczema, even though there has not been much scientific research. However, its anti-inflammatory and antioxidant properties are known to help relieve the symptoms of another disease — psoriasis — according to the National Psoriasis Foundation (13). Psoriasis is an autoimmune disorder. Its symptoms include red, raised scales and patches on the skin. The scaly patches often burn, itch and sting. Used orally, blackcurrant seed oil can help impede the escalation and development of psoriasis patches. It also can be applied topically to scaly, itchy skin. The presence of bacteria in urinary tract gives rise to the infection. But consumption of black currant washes out the bacteria and blocks the growth of bacteria owing to its anti-bacterial traits. It is effective due to tannin and anthocyanin that give black currant its anti-bacterial properties (14). Black currant has high content of calcium that strengthens teeth and bones. It is efficient in preventing osteoporosis (15). It also promotes oral well-being (16). Eating black currant boosts memory. 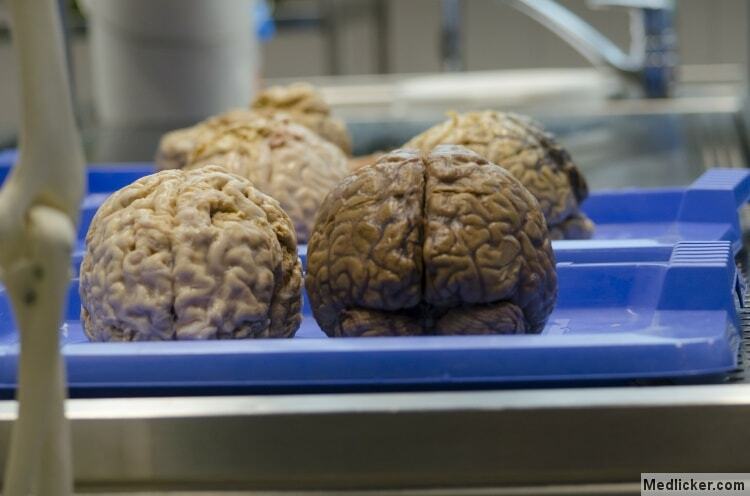 It shields the brain from free radical damage because of its rich antioxidants. As black currant is an excellent source of iron, it amps up oxygen supply to the brain (17). Hence, it improves brain health. Black currant proves useful as it boosts energy levels. It is a super food that speeds up the recovery process, thus decreases injury. Black currant is a rich source of Vitamin A which enhances eye vision. It is a brilliant source of antioxidants that shields eyes from damaging free radicals. Therefore, it protects from the damage of eye retina that is the reason behind complete eye vision loss (18). 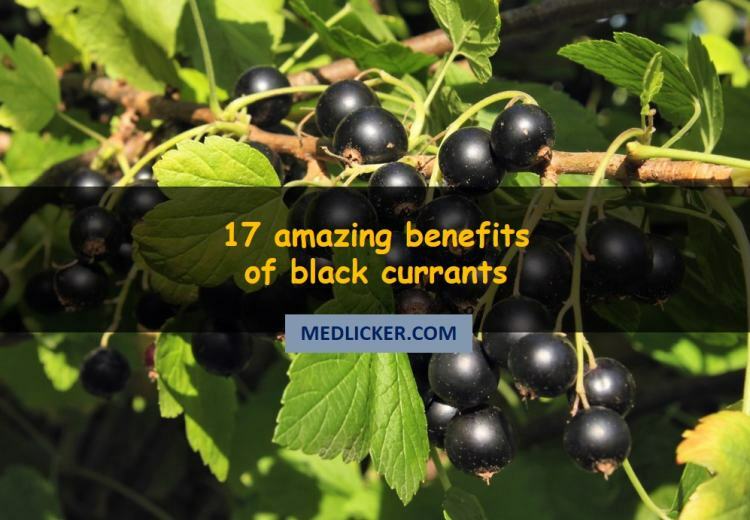 Black currant is a potent natural diuretic (19). Tangy and fruity, black currant tea is an herbal tea free from caffeine that is made of extract obtained from the leaves and fruit of the black currant plant. Black currant tea has a dark purple black color and a punchy flavor reminiscent of fresh berries. Jam packed with vitamins, black currants and the leaves of the black currant plant are valued for their remedial value. In addition to tea made of the leaves and berries of the black currant fruit, you can also find black tea flavored with black currant fruit on the market. Black currants can be used in various ways but they are very tasty when infused and consumed as tea. The tea is yummy when served hot with sugar or chilled as iced tea. To prepare tea with black currant leaves, add one or two spoons of the chopped leaves to 200 ml of boiling water and allow them to soak for five to ten minutes. To make tea from the dried berries of the black currant bush, add a teaspoon of the dried berries to about 200 ml of water and put it over the heat until it boils. After the water starts to boil, turn off the stove and allow the black currants infuse for around 25 to thirty minutes. Or to obtain maximum enjoyment of this herbal tea and its health benefits, mix up the dried fruit with the leaves and infuse them. If you have a good crop from a blackcurrant bush in your garden, you will end up with more blackcurrants than you require. In such a situation, freezing them is a very good option as blackcurrants freeze well. To freeze blackcurrants select only healthy fruit (blackcurrants are good in the aspect that they can be plucked from the strig without puncturing the fruit). Do not wash them as they freeze best when they are dry. Being grown at home, you will know whether any chemicals or pesticides have been sprayed on them. Put them on a tray and place the tray in the freezer for two to three hours until they are frozen. The wisdom behind freezing them on trays is that when they are popped into a bag or pot later, they do not freeze into a clumped up mass. This makes them easier to use. When the blackcurrants are frozen, put them into a plastic bag and remove all the air through a straw. This produces a neat vacuum packed bag for you. Removing all the air is an optional method. After vacuum packing the bag twist the bag and place a clip on it. Place this bag back in the freezer and you are done! You can enjoy these stored fruit throughout cold season. Black currants are a great source of vitamin C and antioxidants (e.g. anthocyanins). They hold lots of health benefits, including cancer prevention, anti-inflammatory and blood pressure lowering properties.